Barbara McClintock was born in 1902, within a few years of the rediscovery of Mendel's laws. Her life, discoveries, and insights span the history of genetics in this century. In the 1920s, she became a dominant figure in the group that flourished at Cornell University under R.A. Emerson and made remarkable technical and conceptual advances in maize cytogenetics. These studies continued at the California Institute of Technology, in Freiburg, Germany, and at the University of Missouri. In 1942, she joined the staff of the Carnegie Institution of Washington at Cold Spring Harbor, New York, where she became a Distinguished Service Member. McClintock's unique ability to discern relationships between the behavior of chromosomes and the properties of the whole organism earned her early recognition. She was elected to the National Academy of Sciences in 1944 and to the presidency of the Genetics Society of America in 1945. Had she done no more, McClintock would have become a major figure in the history of genetics. But at Cold Spring Harbor, she began the studies of the consequence of dicentric chromosome formation and breakage that led her to the discovery of genetic elements capable of moving within the genome and controlling expression of other genes. Although McClintock was universally respected and admired, the first reaction to these findings was often uncomprehending or indifferent, even dismissive. 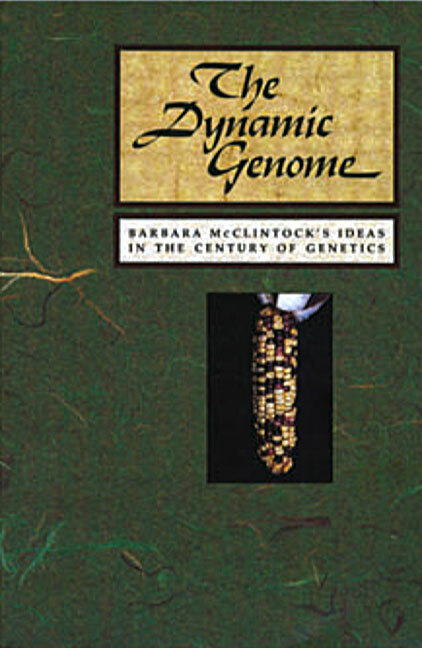 In due course, however, the generality of mobile genetic elements and the concept of a dynamic genome were understood and widely accepted, culminating in the award to McClintock of an unshared Nobel Prize in 1983. As Barbara's 90th birthday approached, some of her many friends and colleagues were invited to write essays for the occasion. This book contains a kaleidoscope of contributions, many by those who discovered transposition in other organisms. Their essays give a remarkable account of the scientific legacy of one of the century's greatest geneticists. "a pure pleasure for anyone interested in the history of genetics and the life of one of its greatest exponents."
. Each story is told by an acknowledged leader in the field, and each is crafted with care. This volume, in its entirety, provides a way for the general biologist or historian to begin to understand McClintock as an influential partbut a part nonethelessof a larger scientific community of ideas built upon experimental discoveries."